We offer garage door openers Thousand Oaks CA suitable for single and double garage doors. However, going by size alone isn’t always advisable. You also need to make sure that you take the weight of the door into consideration. We also have plenty of options when it comes to the drive type of your garage door opener, including direct drive, belt, chain, and screw openers. These different drive types allow you to choose an opener system that meets your goals regarding things like easy maintenance or ultra-quiet operation. If the remote control is the most important part of the garage door opener to you, you’re not alone. Many people feel this way. You might be interested in a keychain remote for when you go for walks or jogs, as well as a car visor remote for your commute. Regardless of what your specific needs or concerns may be, we’ll help you find a quality remote and opener that will satisfy them. You can come to Carroll Garage Doors with any kind of garage door opener problems you may have, whether they are related to the opener motor, the tracks, the remote, or any other feature. Our expert technicians will be more than happy to share their knowledge and fix your opener for you. 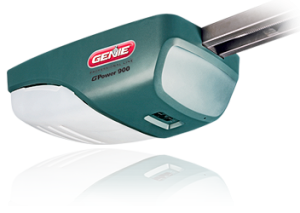 Be sure to ask about our preventative maintenance services when you’re getting your garage door opener repair. We can inspect and service your opener on a regular basis to help keep it in great shape.